Each month we'll be highlighting a different business member on the blog, and they will also speak at that month's meeting. This month we're happy to learn more about Bolt. 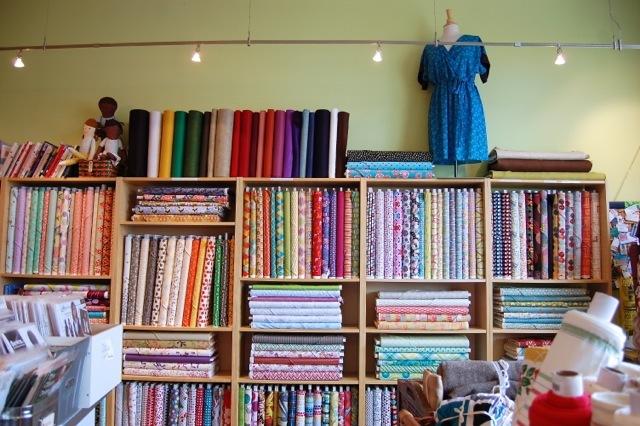 Bolt opened its door in the fall of 2005, with a goal of providing a comfortable, neighborhood place for all people interested in fabric to imagine, learn, share, experience, and explore. 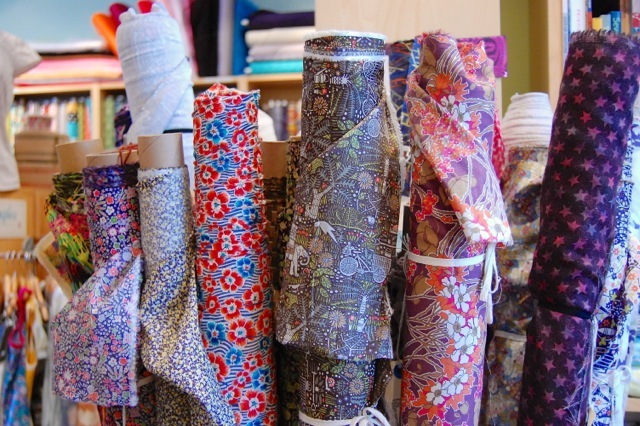 It has always been my intention to not have rules around what someone does with the fabric they find at our store. Building off past experiences of feeling overwhelmed, uninspired, left with no one to lend a hand, ear, eye, or an open mind, I saw the need for Bolt. It has been a tremendous (almost) 8 years of growth of the business, the staff and our customers. Over the years we’ve had the joy of seeing members of our community evolve in their abilities, talents, and interests. 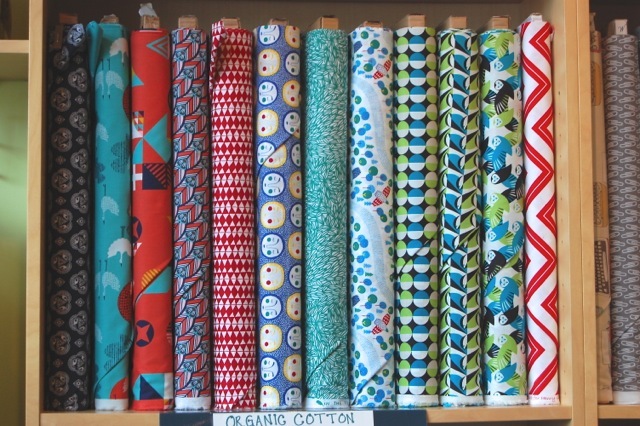 We’ve watched and encouraged while customers have gone from exploring the world of fabric for the first time to creating amazing garments, quilts and even starting up businesses. We are so grateful for the excitement our customers bring with them when they walk through the door and we are excited to see what the next 8 years brings! What are your hours and location? Other info? What’s the best thing about owning your particular business? I really enjoy the challenges and diversity of tasks in running a business in general, but the creative aspect of this business has been the most enjoyable for me. To see what people are making, to imagine what I’d make with the goods that arrive at the store—it is so fun. What’s been your favorite order/customer/memorable moment as a business owner? I don’t know that I have a favorite, but I think what I like the most is the ease of interactions between our crew and our customers. We have a lot of regular customers and I think one of the things that makes me the happiest is when we’re having a staff meeting or get together and we’re filling each other in on what our customers are making. That’s when I feel like the “neighborhood” part of “Bolt Neighborhood Fabric Boutique” is working. It sounds corny, but it really is an important aspect to me. What other jobs/businesses have you worked/owned? I’ve worked a variety of jobs over the years—food service, movie rental, landscape maintenance, research assistant. The majority of my background before starting the store has been in social service (homelessness and severe poverty specifically), community development and research in those areas. I tried my hand at starting a couple of different sewing oriented businesses over the years, as side projects. The most recent was making duvet covers, which led to me opening Bolt. What made you want to go into this field of work? I wanted/needed a break from social service related work and I also didn’t want to rely on sewing as the main part of my work. 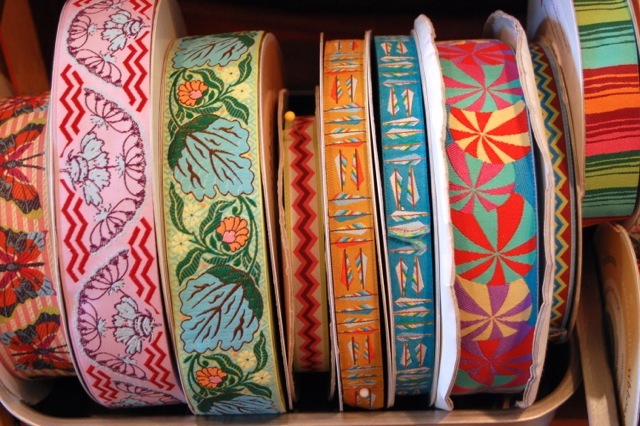 I loved picking out fabric and thought I saw the need for something like Bolt. I thought it would be a good challenge that would keep me interested for a while. 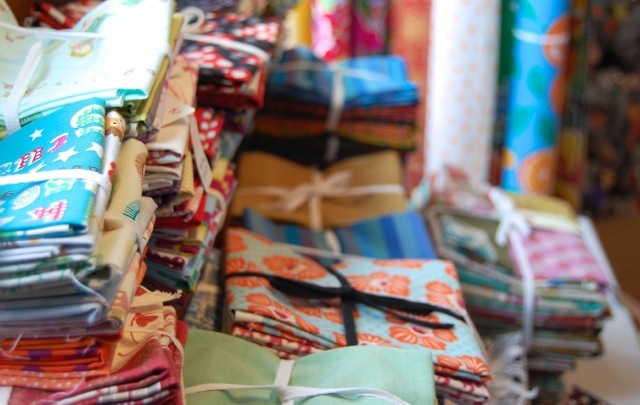 Do you still have time to do your own quilting and sewing while owning your business? Yep, somewhat. I actually really enjoy gardening and cooking, so I have to admit, when there’s free time, those things can fill it pretty quickly. My husband and I recently created a permanent sewing space for me in our house, and that helps tremendously as far as being able to just sit for a few minutes and work on something. I don’t have to spend the time setting up and taking down now. 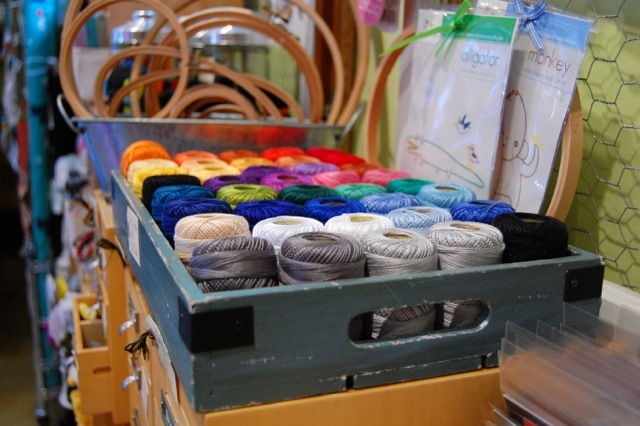 Does your store have classes, get-togethers, or special events you’d like to mention? Yes! We have our big bi-annual sale this weekend! Every year we hold a store-wide sale the end of October (our anniversary) and the middle of April. It’s fun and exciting! Also, we’ll be hosting a designer (stay tuned for the announcement on this) during Quilt Market in May for a meet and greet type of event. And, this year we’re resurrecting our “Organization of the Month” club where we feature a different charitable organization each month and then hold a donation day, after which we donate 10% of the day’s total to the organization. The donation days are typically the last Saturday of the month. You can follow this on our blog. We’ve also been working to get more customers to share their projects via Flickr through our Flickr Inspiration project. We draw a winner each month and feature them on our blog. What would you like to see PMQG do to strengthen the quilting community in the Portland Metro Area? This is tricky one for me—it seems like PMQG is rockin’ the quilting community in Portland. Thanks for the opportunity to share! I really appreciate it.